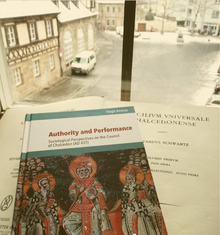 Review of: Hagit Amirav: Authority and Performance. Sociological Perspectives on the Council of Chalcedon (AD 451). Göttingen: Vandenhoeck & Ruprecht 2015 (Hypomnemata 199).